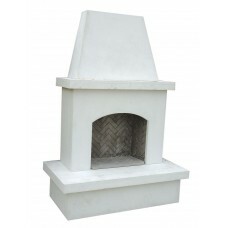 American Fyre Designs fireplaces make a bold decorating statement and provide an elegant outdoor gathering place. Available in many styles in a variety of sizes, the units ship knocked down and simply bolt together in your backyard to showcase your choice of beautiful and easy-to-use gas logs. Most are available in vent free versions as well which permit you to install your fireplace under a lanai or other outdoor covered area. The Contractor's Model is handcrafted from glass fiber reinforced concrete and comes as a blank s.. 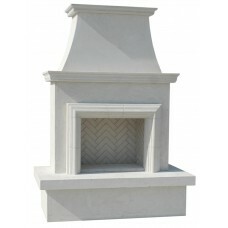 The Chica is our smallest fireplace model and was designed specifically for those with limited space.. The Contractor's Model with Molding is handcrafted from glass fiber reinforced concrete and comes.. 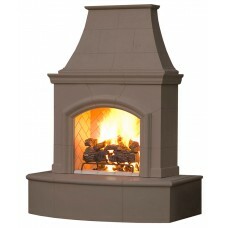 The Mariposa is our best seller with a beautiful arch above the firebox and a low profile chimney wi.. The Petite Cordova allows you to create the same magical ambiance as the Cordova with its .. 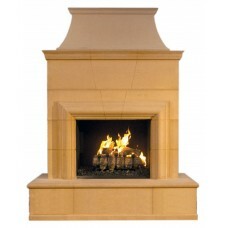 The Phoenix features a gently arched firebox opening and prominent, slanting chimney to create regal.. 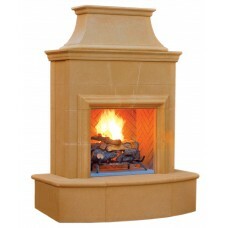 The back venting feature of the Phoenix gives this same elegant, arched style a more modern feel wit.. The Petite Cordova allows you to create the same magical ambiance as the Cordova with its clean, str.. The Manhattan Fireplace brings fire to the modern world. This contemporary fireplace is sleek sophis.. 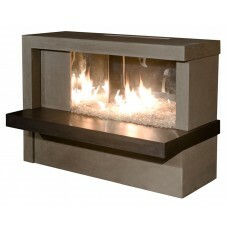 The Milan Linear See-Thru Fireplace brings contemporary elegance and design to the outdoor room. The.. 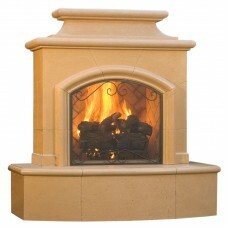 The Cordova, one of the most popular American Fyre Designs outdoor fireplaces, creates an enticing o..